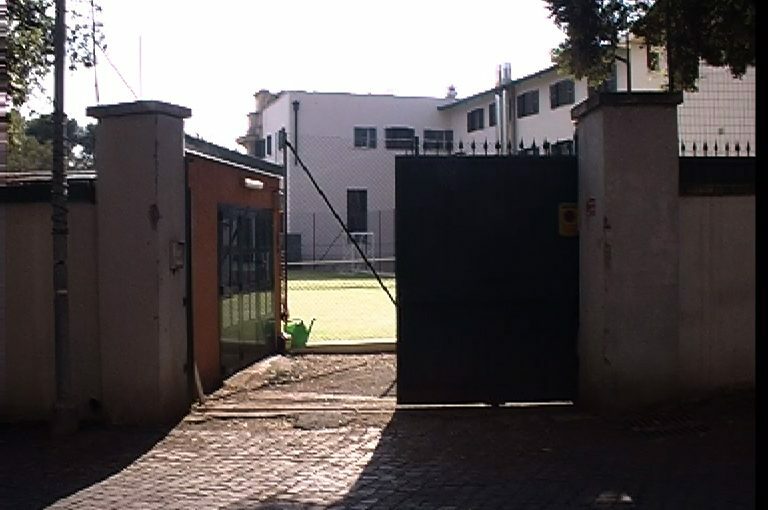 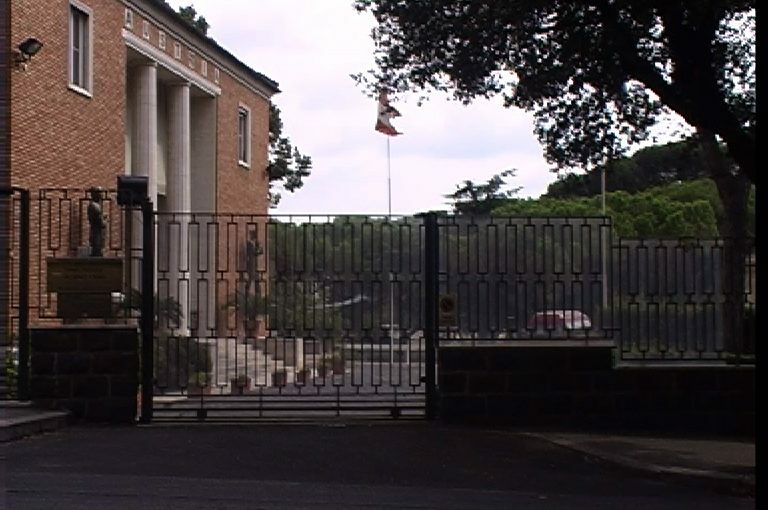 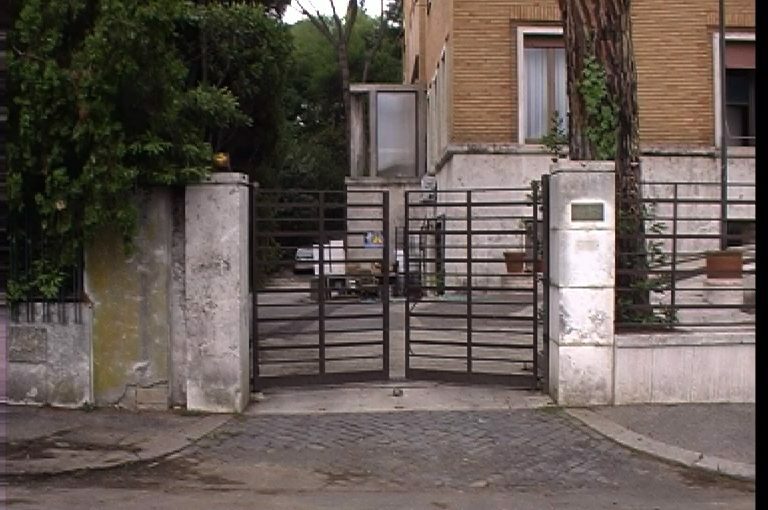 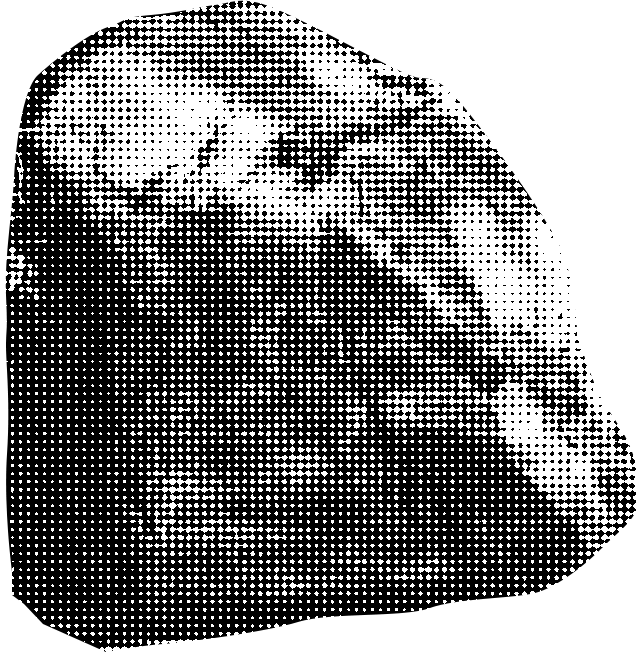 During their 3 month residency at the BSR in the summer of 2003 Dunhill and O’Brien found that the slow and stately movement of the electric gates at the back of the studios was in stark contrast to the pace of almost every thing else in Rome. 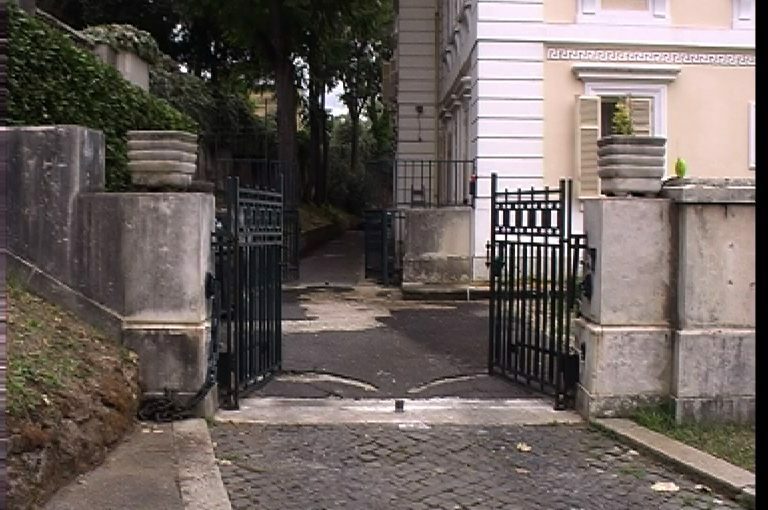 Rome has various foreign academies and institutes; these cultural outposts were each established to enable their scholars to study the history, art and archaeology of Rome while also promoting their own culture. 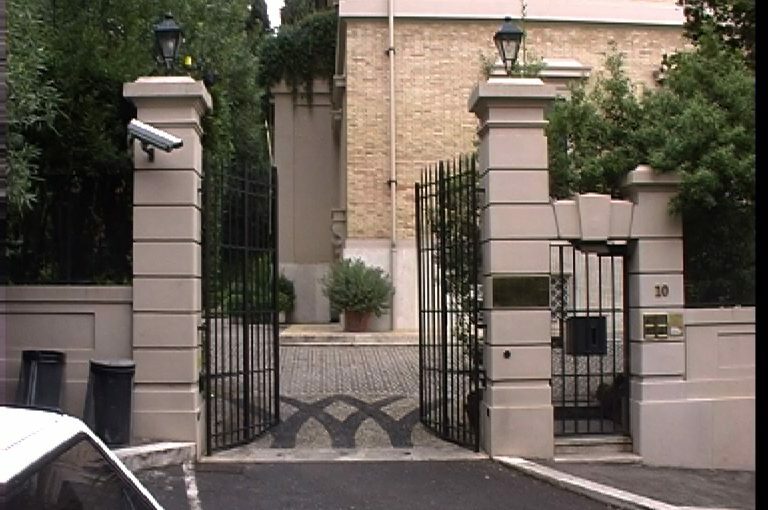 Dunhill and O’Brien couldn’t help noticing that these other institutions also had some fine examples of slow moving electric gates. 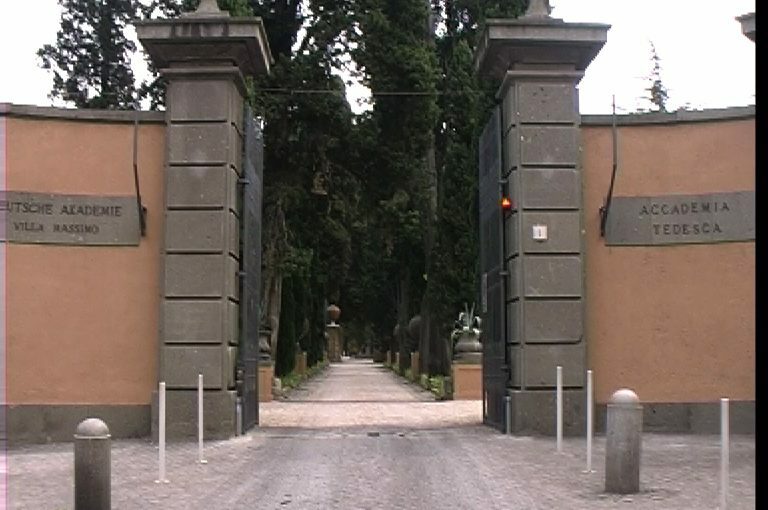 With varying degrees of success they obtained permission to film some of the gates (the American, French and Egyptian Academies considered it too great a security risk). 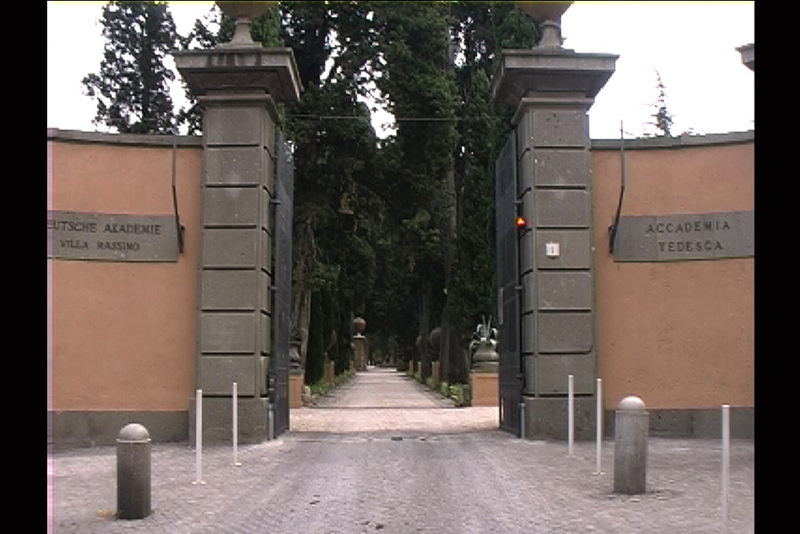 The gates were filmed opening and closing (without any traffic passing through them) once from the outside looking in and once from the inside looking out and, as theatre curtains determine whether we are the audience or the performers, so the viewers position in relation to the gates is made to repeatedly shift between outsider and insider. 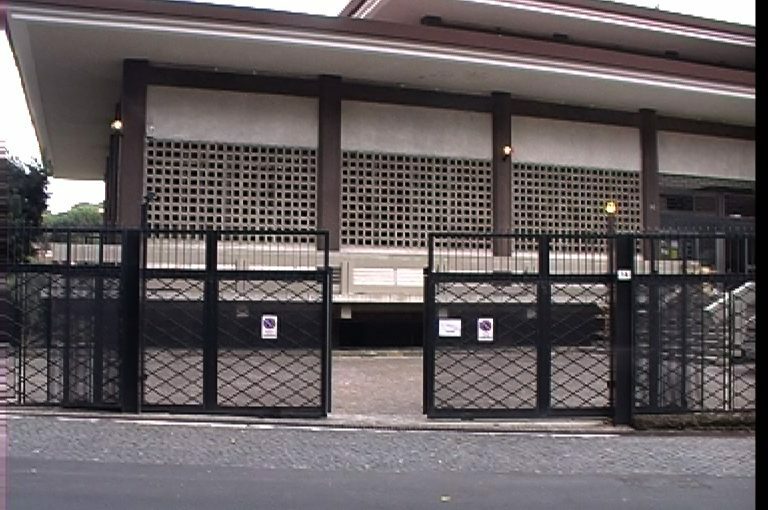 While there was a certain degree of collector’s enthusiasm to this enterprise, something about the status of culture in the different countries was also revealed.